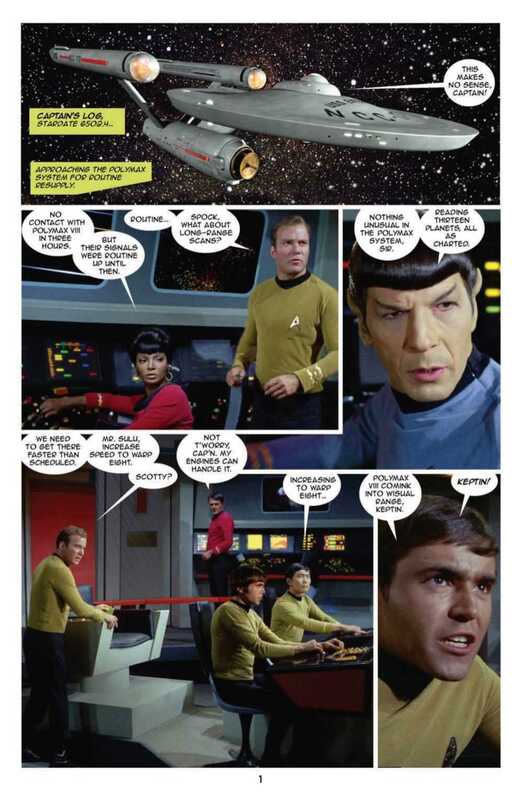 Tomorrow, Star Trek: New Vision Volume 8 by John Byrne debuts, but fans can have a sneak peek at the issue today. 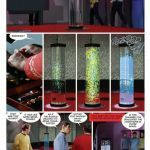 In New Visions Volume 8, “all-new tales [are] set in the Star Trek: The Original Series universe, done in a unique photomontage style, using images from the classic TV series. It’s as close as fans will ever come to getting new episodes featuring the original cast. “First, The Enemy of My Enemy…is not my friend. 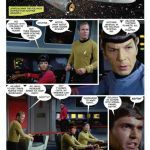 But when Kirk and Kor find themselves forced to work together against a common foe, does it mean a productive alliance, or a chance for deadly betrayal? 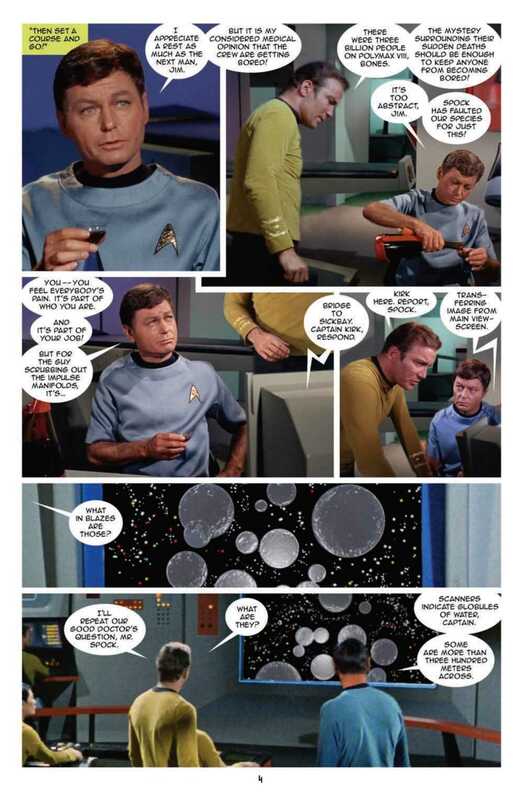 “Then, Kirk and his crew venture into the past, only to discover it is nothing like their history books teach – no trace of the devastation of World War III and the Eugenics Wars. What can have caused such a divergence? The answer is to be found in An Unexpected Yesterday. 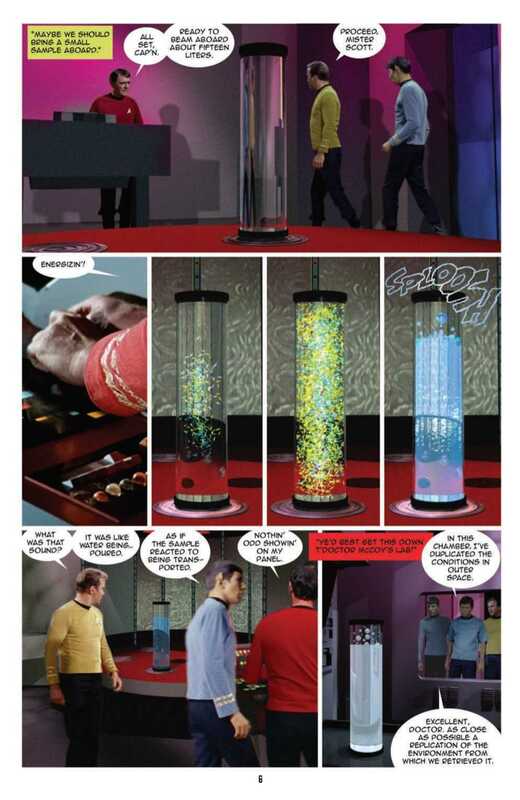 Star Trek: New Visions Volume 8 can be purchased here.